Bring out the artist in you with the ORLY Instant Artist Water-Based Kit! The water-based formula allows for more time to create your designs and it can be more easily removed compared to the lacquer based polish, if you make a mistake. The specialised striper brush allows for precision detail to create unique, nail art looks. 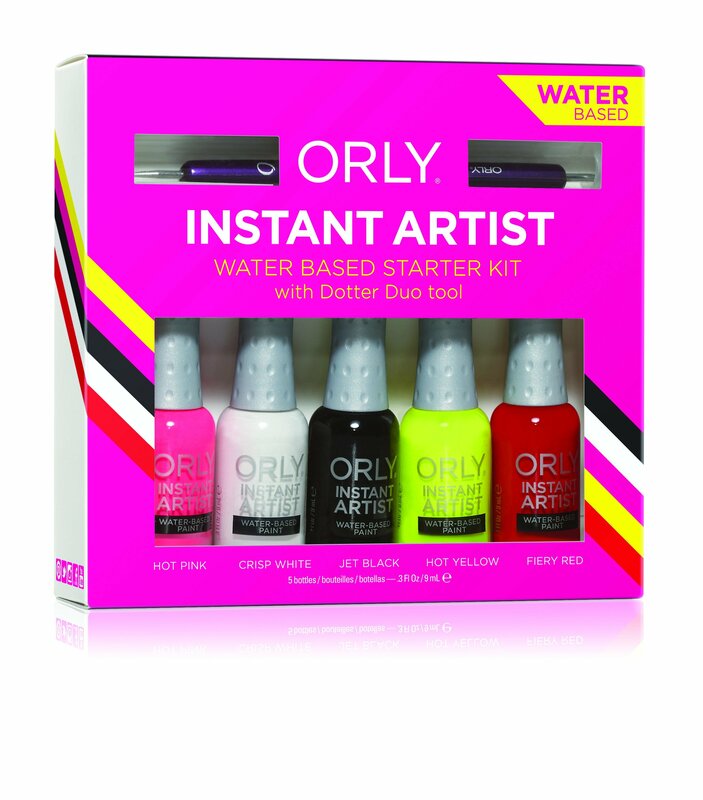 Kit contains one Dotter Duo tool and 5 opaque paints in Hot Pink, Crisp White, Jet Black, Hot Yellow and Fiery Red.